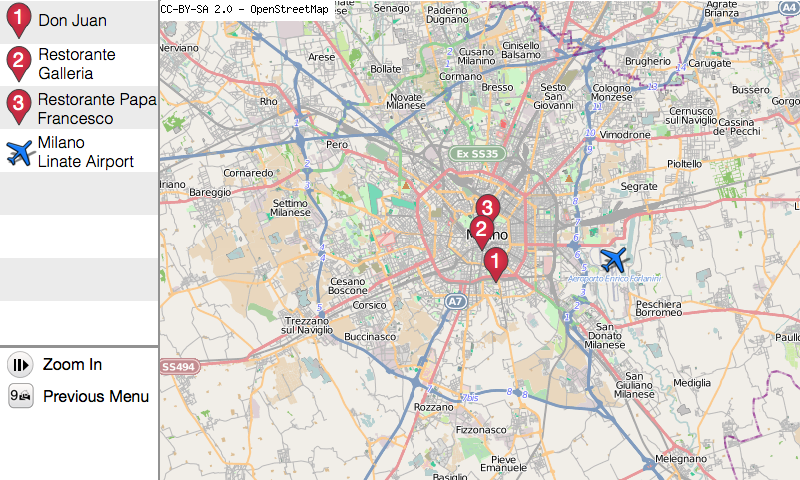 The destination Map advertising feature provides a "internet like" map interface that highlights your establishment's location in the city much in the same way as popular Internet Map providers do. This quick graphical guide allows your establishment's location to be imprinted on the passenger during their first impressions of your cities layout. Your establishment location marker on the map can have click through ability to display a full screen "Web like" page or video / infomercials about your products or services.